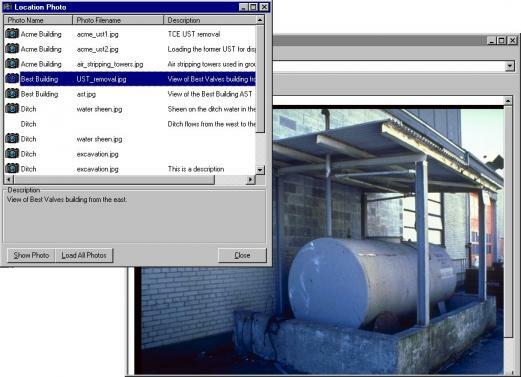 Visual Site Manager™ (VSM™) revolutionizes the way project teams work with environmental data. 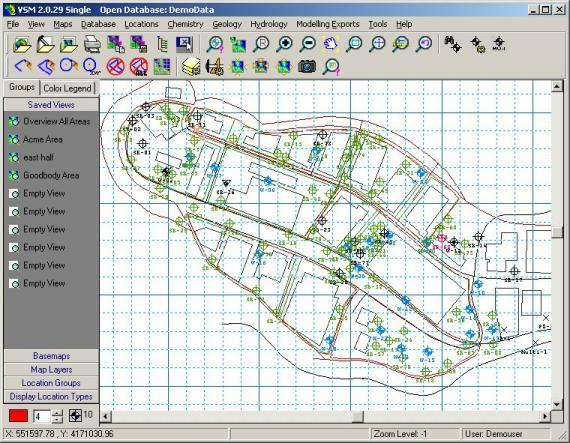 VSM integrates a full-featured environmental database with an easy-to-use point and click map based interface. 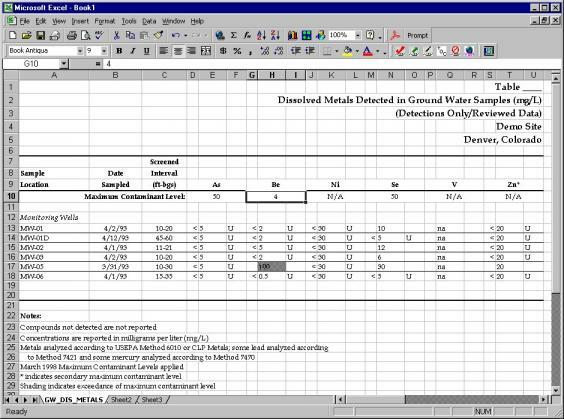 Every project member has full access to project data using their desktop or laptop computer. 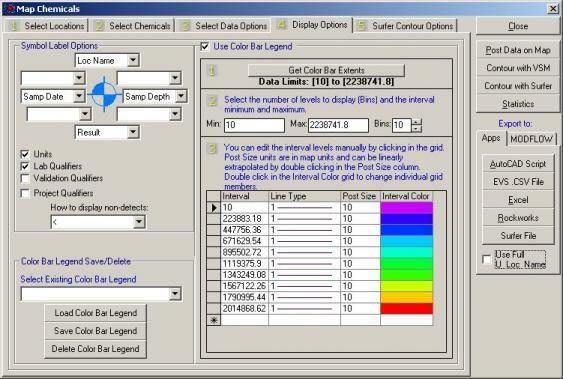 No more waiting for database managers to print out reports or the CAD departments to create contour plots. 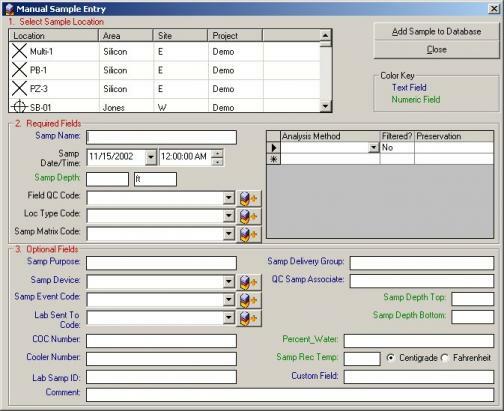 Now, everybody, from Program Directors to Staff Engineers, can quickly and easily open the project database, create contour plots, print out reports, export data to Excel and other programs, and graphically review project data with a simple point and click interface. Interested in contaminant concentrations at a certain location? 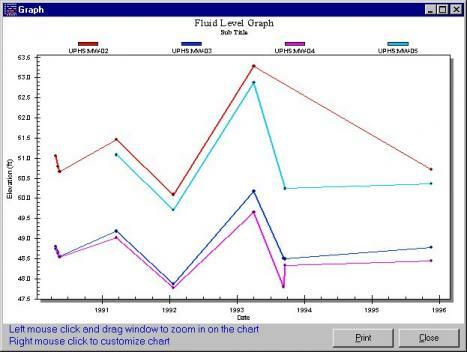 Simply click on the location, select a few parameters and a chemistry trend plot is produced. Hydrographs and boring logs can be accessed the same way. Want to see a map of concentrations? 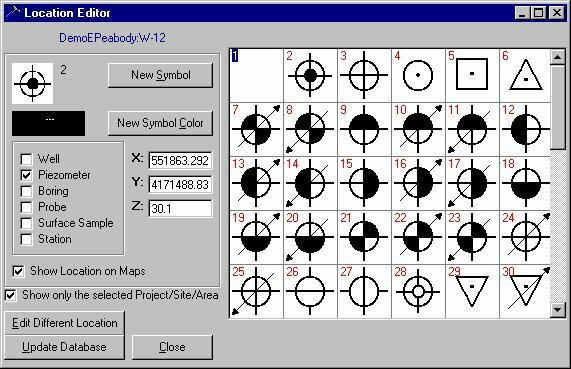 Simply choose Chemistry, Maps from the Menu, set a few parameters and the graphical display changes to a map with well symbols colored according to concentration. 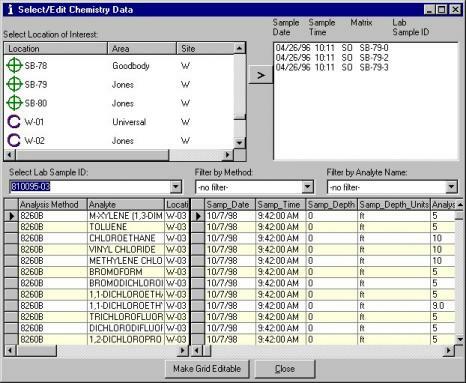 VSM’s comprehensive database stores chemistry, geological, fluid level, location, survey and contact information all in one location. 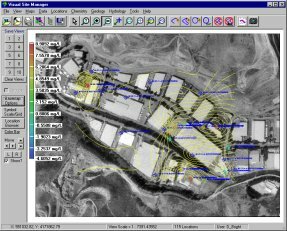 VSM brings a new approach to the management of environmental data. 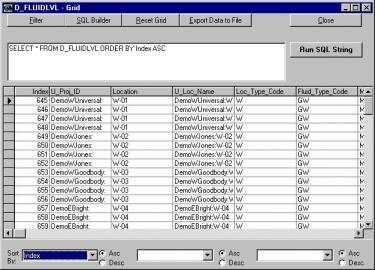 It employs a standardized Microsoft Access® database to enter and store the data, and then allows users to connect to the database from any desktop system on the network, local or remote. 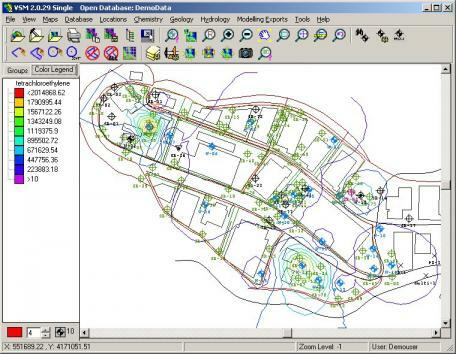 By providing an easy- to-use graphical interface to the data with intuitive analysis tools, VSM facilitates access to environmental data for every project at every level. 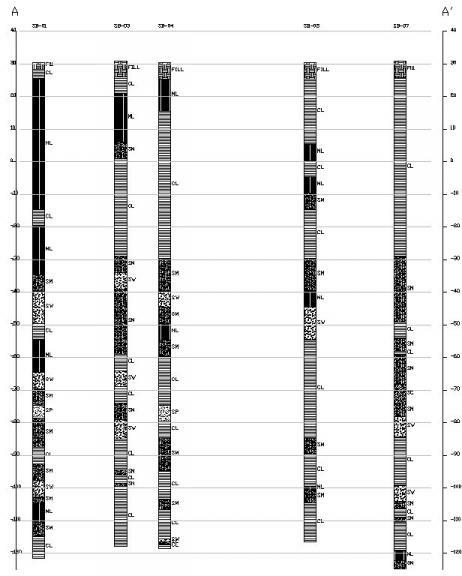 Comprehensive, yet open environmental database utilizing the MS Access® database engine..
Multi-tier database information structure allows the database to be used for sites with multiple PRP’s without duplicate location and sample identifiers. 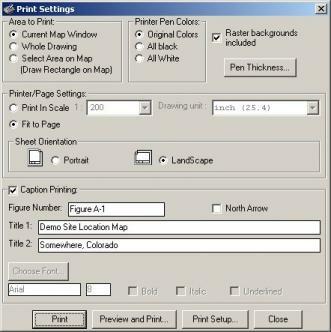 Data processing options for selecting data from specified depth intervals, location groups, calculating max-min-avg or most recent values, and processing non-detect values. 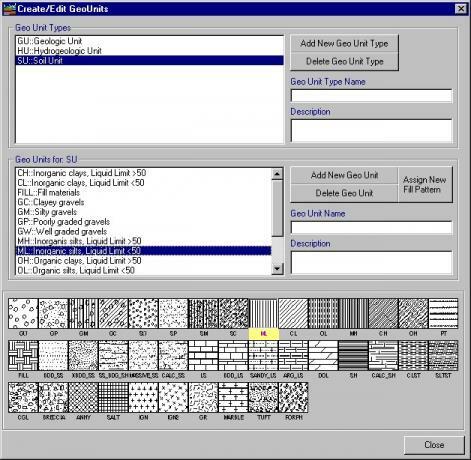 Extensive data export capabilities with direct exports to Excel®, AutoCAD® , Surfer® and the Environmental Visualization System, EVS®. 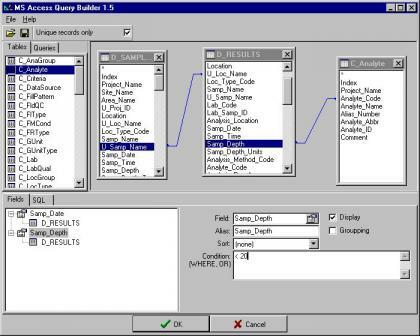 Structured Query Language (SQL) Builder is provided to allow the user to make advanced queries on the database and have them reported in a exportable grid. 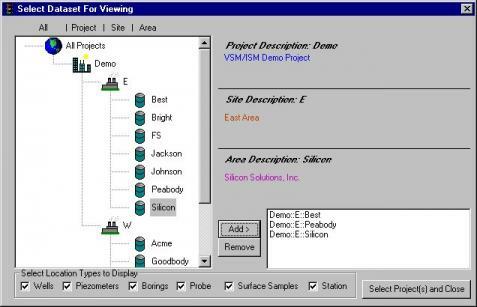 Variable pricing plans, from single user to project based, make VSM economical for any size project. 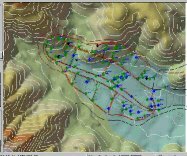 VSM is a workstation based data management system that provides project teams the ability to quickly and efficiently analyze and distribute environmental data from their desktop computers. 34 MB of Free Disk Space for VSM, 8MB of Free Space for the DemoData, and 22MD of Free Space for the Microsoft Data Access Components (MDAC) if they are not already installed.